You should consider your geographical trading area. For example if you trade only in your home state, you will probably be best served incorporating there. If you decide to incorporate outside of your home state, you will be considered as a foreign corporation in the state you incorporate in, and as such will be required to appoint an agent to represent you, and of course the agent will charge you. 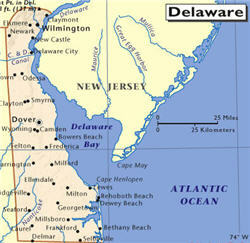 Delaware, and to some extent Nevada, offers favourable tax treatment to businesses and offers more legal protection from liability than most other states. Offset against these benefits, you will have to pay an agent to represent you and also pay a franchise fee to the state of Delaware. Therefore you will have to calculate whether the taxation savings will offset these additional fees when considering your choice of state for incorporation.